DBA carried out a comprehensive Flood Risk Assessment and Surface Water Management Scheme for this strategic infrastructure project. 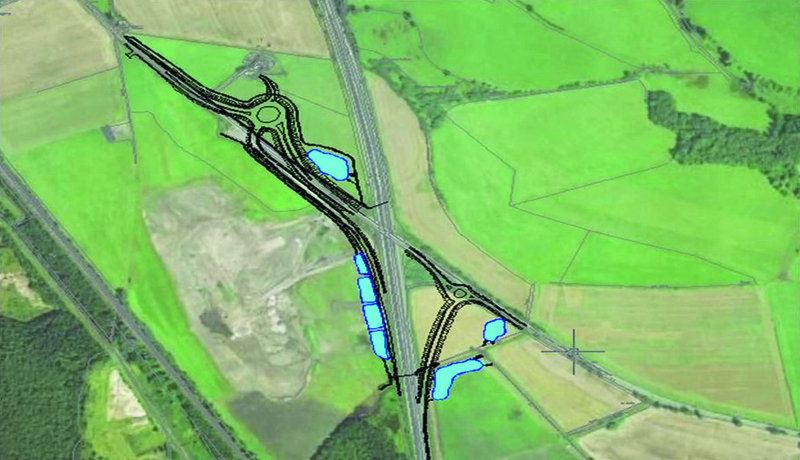 The project was undertaken in close consultation with Renfrewshire Council, SEPA, Transport Scotland and BAA (Glasgow Airport). The proposed scheme included specialist designs to mitigate existing water pollution arising from landfill leachate as well as watercourse diversions and restorations, bridging structures and SUDS treatment and attenuation wetlands. The SUDS wetlands were designed to provide robust treatment whilst deterring large birds to manage risk of bird-strike to aircraft. The Surface Water Management Scheme was designed to comply with the Water Environment (Controlled Activities) (Scotland) Regulations 2005 whilst meeting Adopting Authority requirements.